What up, ninjas!? Especially Ohio and Michigan, ninjas! 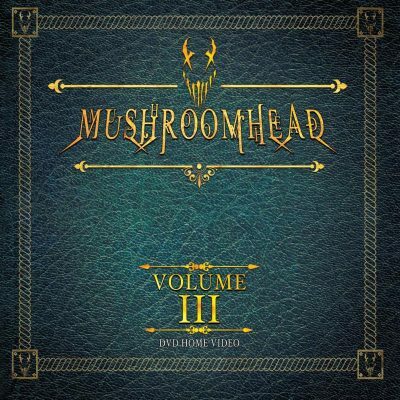 Super influential Cleveland, Ohio-based metal horror masked pioneers MUSHROOMHEAD will release their highly-anticipated upcoming DVD, VOLUME III – a follow up to the widely-acclaimed DVD’s Volume 1 (2005) and Volume 2 (2008) – on August 17, 2018 via Megaforce Records. The DVD will feature over 90 minutes of new material – including stunning new music videos, backstage antics, and exclusive never-seen-before content. Pre-orders are available now via Amazon. In celebration of the release of VOLUME III, MUSHROOMHEAD will host an exclusive, one-night-only screening/premiere of the entire DVD in their hometown of Cleveland at the Cedar Lee Theatre (2163 Lee Rd., Cleveland Heights, Ohio 44118) on Wednesday, August 15, 2018. The screening will begin at 10:00 PM and runtime is just under two hours. Tickets are just $25 and are available for purchase here. Don’t get the bone! Get your tickets now – seating is limited. Also, if you somehow still haven’t, check out MUSHROOMHEAD‘s terrifying, cinema-quality new music video for the alternate version of their track, “We Are The Truth”, cut from VOLUME III and their most recent and successful charting album, The Righteous & The Butterfly (the album debuted at #20 on the Billboard Top 200, #1 on the Billboard Independent Chart, and #1 on the Billboard Hard Rock Chart). The track and video feature Jackie Laponza of Unsaid Fate on guest vocals. Impressively, the video is a complete DIY Evil Dead inspired production, featuring sets the band built themselves and shot in Cleveland. Note: In celebration of the DVD release, MUSHROOMHEAD will headline the The Summer of Screams tour this summer, presented by Scream Factory and Dread Central.See below for all confirmed tour dates.